Our experience in residential lettings in Harrow and Watford over the past 25 years puts us in a unique position to provide a range of valuable services to our clients to protect and add value to their investment. We consider this to be our first priority, finding the best tenant, at the right price and managing the whole process in a prompt, efficient and professional manner. It is for this reason that we ensure that all of our staff are experienced and qualified to do their jobs and those who Read full description...Our experience in residential lettings in Harrow and Watford over the past 25 years puts us in a unique position to provide a range of valuable services to our clients to protect and add value to their investment. We consider this to be our first priority, finding the best tenant, at the right price and managing the whole process in a prompt, efficient and professional manner. It is for this reason that we ensure that all of our staff are experienced and qualified to do their jobs and those who are learning with us are engaged on a formal course of study to learn what is a rather complicated business. Not all agents are the same……trust us. However ambitious our client’s are, we can help find the best properties, the right finance and structure the development of your property portfolio, identifying suitable properties, negotiating the right deal, sourcing the best finance, and seeing it right through until the day the property is let. The fees are market representative and competitive. In my opinion, fees are reasonable for the service received. 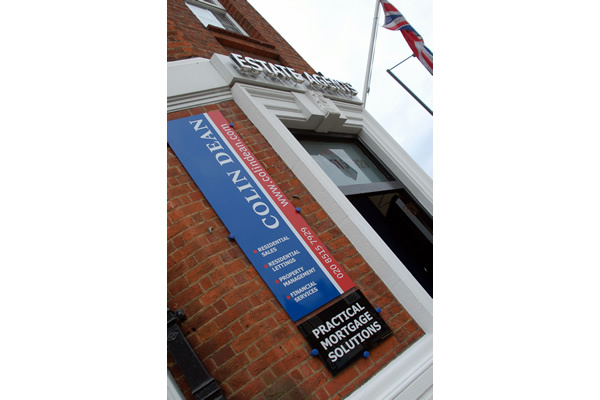 The fees are reasonable and I have no issues with what I pay Colin Dean to look after my property. I found the fee was reasonable. The guys really know their stuff and their way of business makes the whole process very simple and straightforward. I now qualify for a loyalty discount!!! Our Letting only service where our fee is payable in advance upon commencement of tenancy. Fees are subject to our Minimum Charge of £600.00 inc VAT. For further information, see our terms of business. If a tenant renews a tenancy under this Service, the same fee rate is payable for as long as that tenant continues to be liable for the tenancy. A discount of 25% of the fee due will be offered if payment of the fee due is made on or before commencement of the new term of tenancy. Our Management Service which includes Legal Costs Protection, where fees are due as above but are collected monthly and deducted from rents received. Fees are subject to our minimum charge of £900.00 inc. (£75.00 per mth inc VAT). For further information see our terms of business. If a tenant renews a tenancy under this service, the same fee rate is payable for as long as that tenant continues to be liable for the tenancy. No discount on renewals of tenancy are offered under this service as a cashflow concession is provided by allowing the fee to be spread over the term of the tenancy. If you have a complaint, please put it in writing, including as much detail as possible. This can be by letter to the address below or by email to dean.ayling@colindean.com or by text to 07702 270760. We have eight weeks to consider your complaint. If we have not resolved it within this time you may refer your complaint to The Property Ombudsman. Please note the following: You will need to submit your complaint to The Property Ombudsman within six months of receiving our final viewpoint letter, including any evidence to support your case. If your complaint is concerning the return of your deposit, and your tenancy is within the Tenancy Deposit Scheme you can apply to TDS Limited for Adjudication of the dispute.